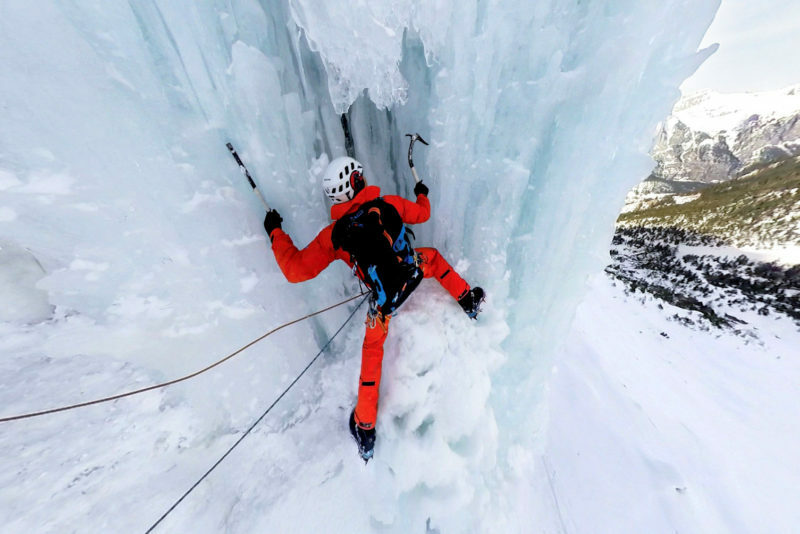 The Rock Rider – an ultra light in-mold climbing helmet with a wide range of uses. Working for a brand like Mammut is something very special indeed. 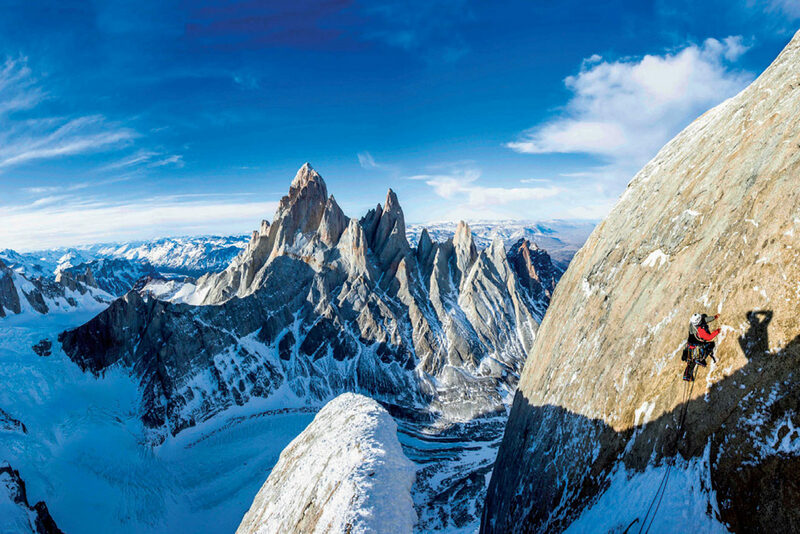 Mammut is one of the most important manufacturers in the field of sport climbing, alpine and outdoor products. Permanent innovation is the drive behind the traditional company. The products are characterised by maximum quality, functionality and safety. There are hardly any climbers or alpinists who do not know the logo with the black mammoth. 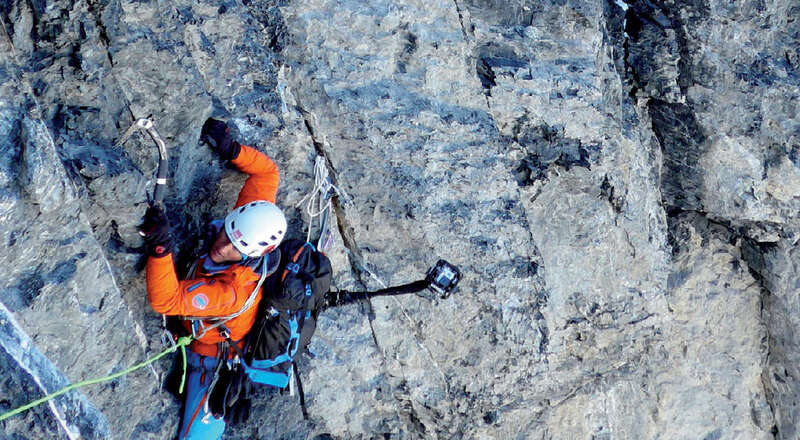 We have achieved an ultra light in-mold climbing helmet with a wide range of uses with the Rock Rider. 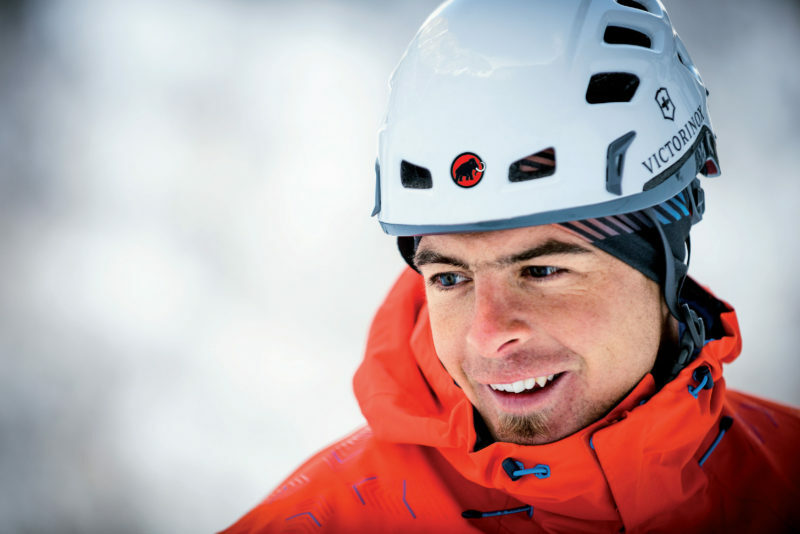 From sport climbers to alpine multi-rope routes and from classic alpine tours to ice and mixed climbing – the performance of this helmet is outstanding in any terrain! 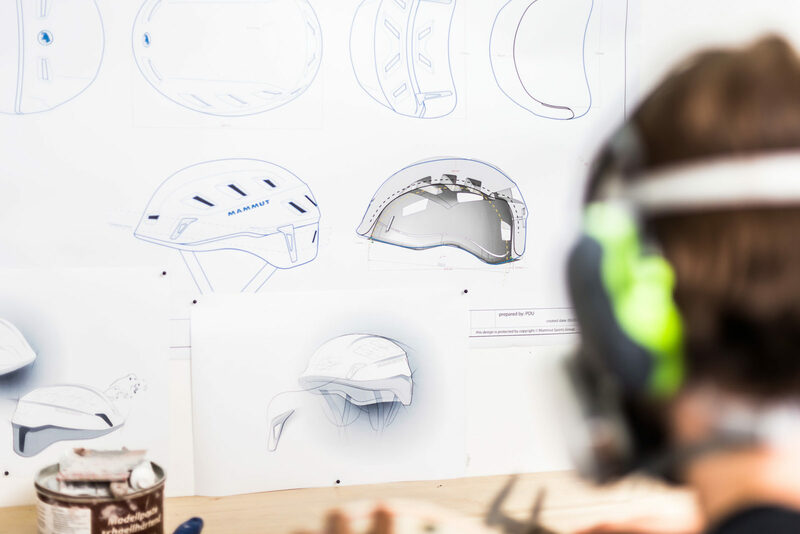 We have achieved the maximum possible climate comfort during strenuous climbs thanks to sixteen ventilation openings combined with air channels inside the helmet. The versatile, adjustable carry system guarantees perfect hold and excellent wear comfort. 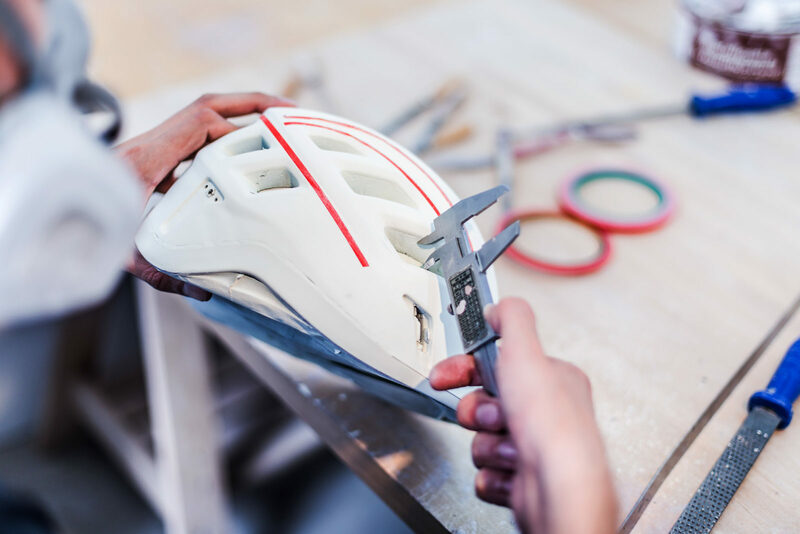 The extremely light Rock Rider has an EPS core and a permanently welded helmet shell. An ergonomic inside shape with comfortable padding was also particularly important to us. The carry system can be folded into the helmet shell to save space for transport on the rock face. The Rock Rider's four sturdy clips firmly and securely accommodate a headlamp for an alpine start in the early hours of the morning. 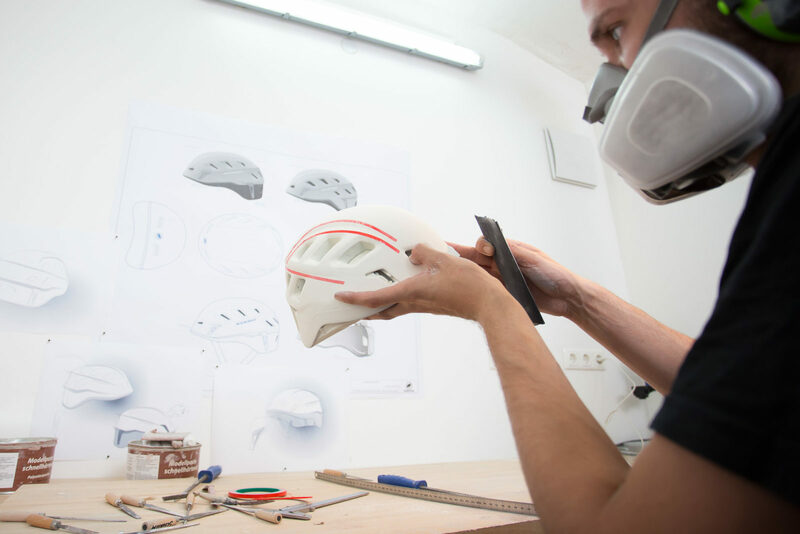 The result of this helmet shows how passionately coleo design deals with the products. We examine our developments with utmost precision, test ourselves, interview others and collect their opinions. 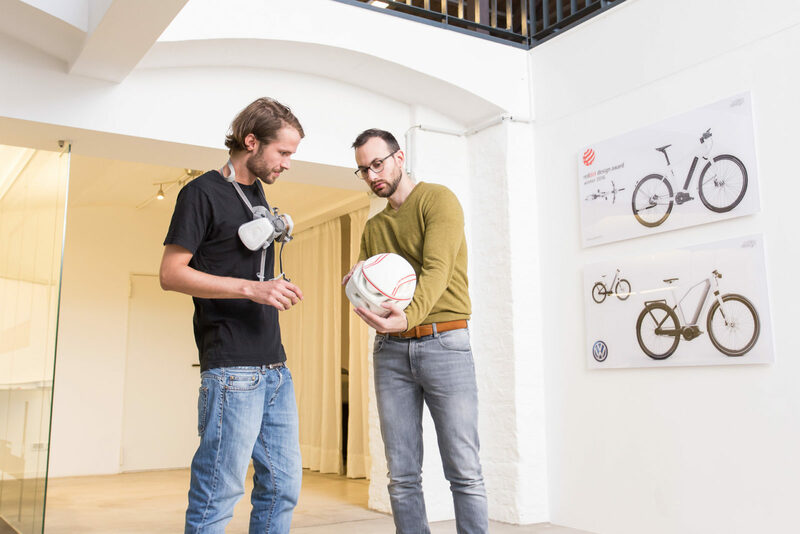 coleo design turns the models into reality in the in-house workshop. This allows the customer's requirements to be promptly implemented without diversions. Not only the dimensions and proportions can be assessed on the basis of the design model, but above all the surface finishes, contours and fit. 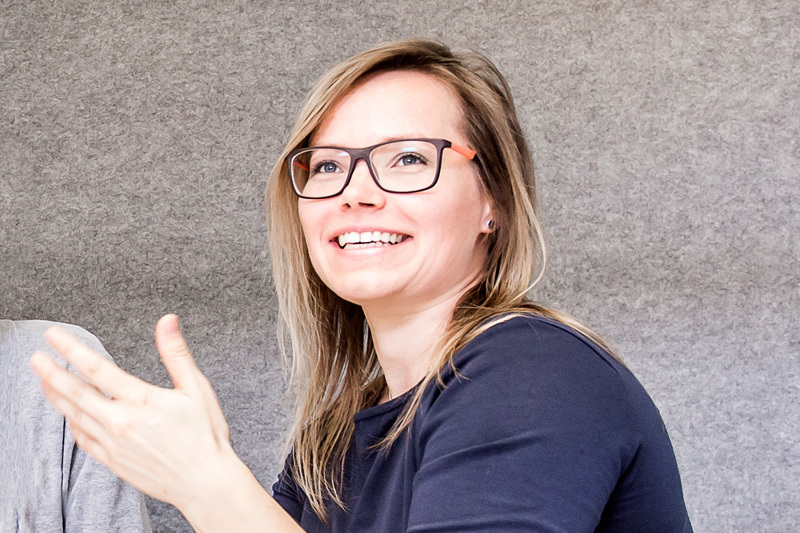 »Designing products that I use and appreciate myself motivates me every single day. I know exactly what the user needs«.